The Darryl Sigleski Memorial Award and Scholarship was set up in Darryl's honor for a Middlesex Youth Hockey Midget by a group of parents and coaches who wanted to keep his memory alive. 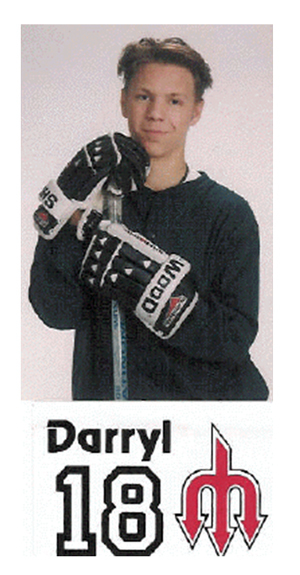 The #18 was retired in Darryl's memory at the 1997 Middlesex Youth Hockey annual meeting. A plaque and scholarship has been presented annually since 1996 to the midget senior player who best exemplifies the dedication, leadership, outgoing personality and skills so much reflected during Darryl's short lifetime. The player must have definite college plans. A large wall plaque is hung in Wesleyan University ice rink with the names of the honorees.